(2017). Real Silk Degumming Wastewater Remediation: Simple Applicable Recovery of Sericin Micro and Nano powders. Journal of Textiles and Polymers, 5(2), 49-54.
. "Real Silk Degumming Wastewater Remediation: Simple Applicable Recovery of Sericin Micro and Nano powders". 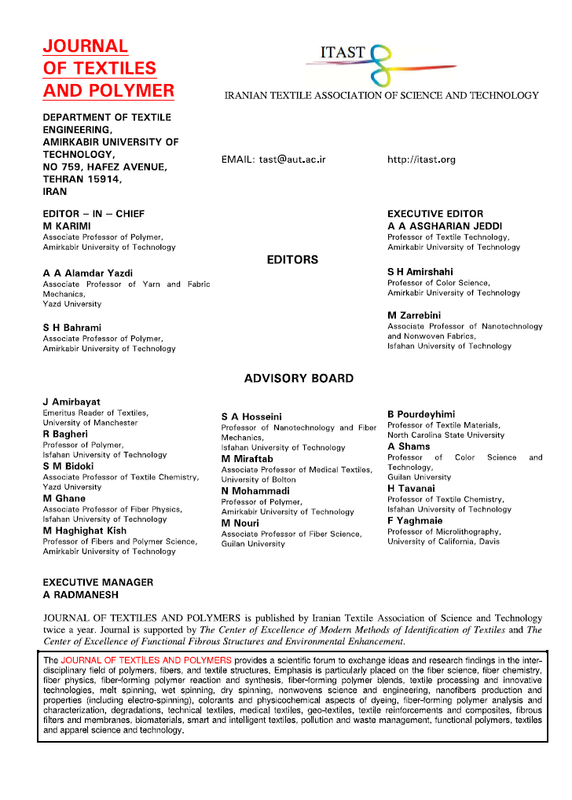 Journal of Textiles and Polymers, 5, 2, 2017, 49-54. (2017). 'Real Silk Degumming Wastewater Remediation: Simple Applicable Recovery of Sericin Micro and Nano powders', Journal of Textiles and Polymers, 5(2), pp. 49-54. Real Silk Degumming Wastewater Remediation: Simple Applicable Recovery of Sericin Micro and Nano powders. Journal of Textiles and Polymers, 2017; 5(2): 49-54.